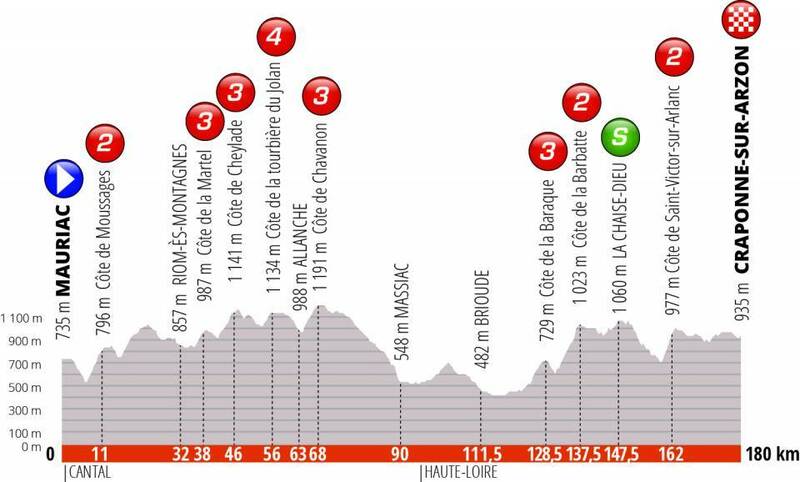 The route for the Critérium du Dauphiné was unveiled yesterday and it’s a similar mix to usual, a pre-Tour de France build-up. Here’s a closer look at the stages. Stage 1 (Sunday 9 June) is a short 142km loop in the Cantal region around the extinct volcanoes. The Puy Mary is climbed early, sumptuous scenery for the peloton but it won’t be on television. The comes a finishing circuit including a 3km climb at 7.5% to trouble the sprinters. 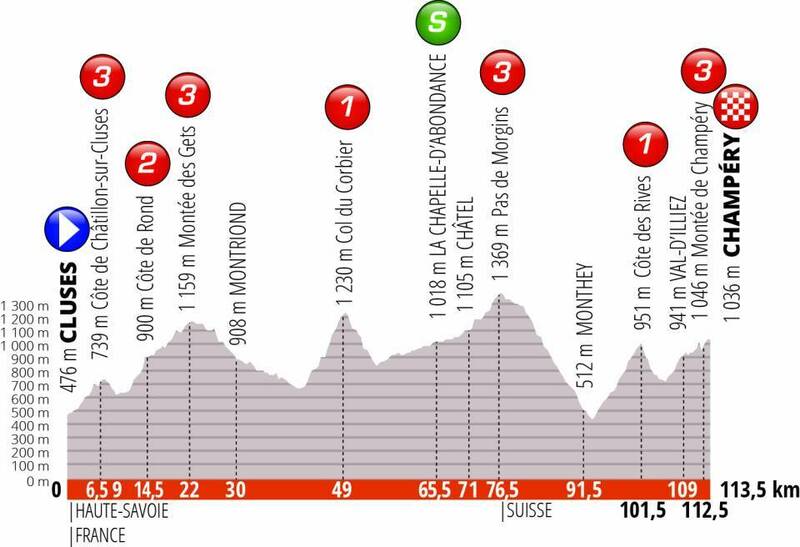 Stage 2 (Monday 10 June) is a rugged day across the Auvergne featuring narrow, rural roads and a passage through Brioude where Romain Bardet grew up and a Tour de France host town later this year. The final climb is steep and irregular before almost 20km to the finish. 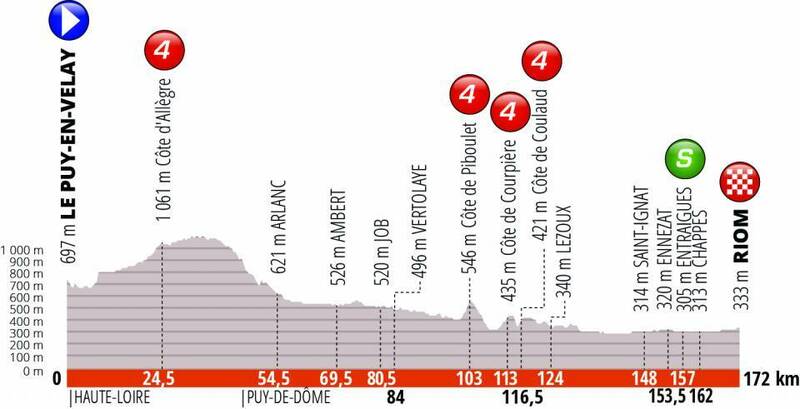 Stage 3 (Tuesday 11 June) is finally one the sprinters and their teams can bank with a finish on the plains below the mighty Puy-de-Dôme volcano. Stage 4 (Wednesday 12 June) is a time trial and at 26km it looks comparable to the 27km time trial in the Tour de France but it’s hillier with a twisty tertiary road to the high point behind Saint André. 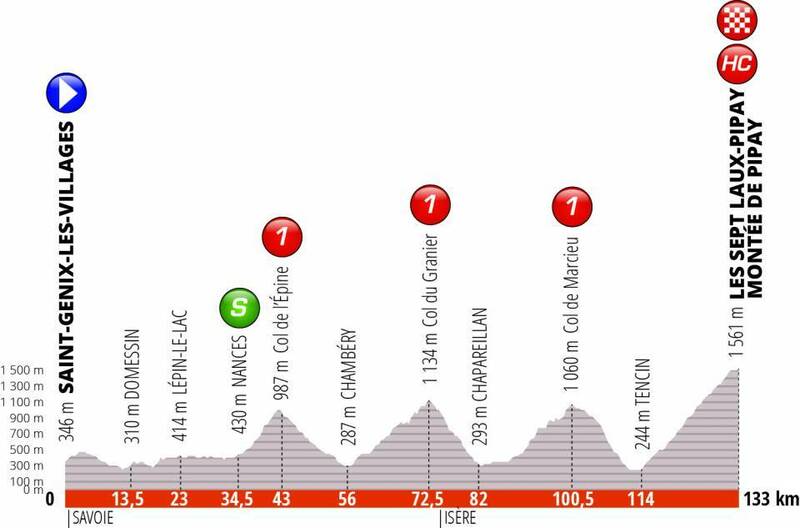 Stage 5 is a notional transitional stage to reach the foot of the Alps and one for the sprinters. Stage 6 (Friday 14 June) is a marathon 228km and a scenic tour via the shores of Lake Bourget, France’s largest lake and then across the Massif des Bauges, bovine and turophile heaven before picking up the Maurienne valley. The “Col de Beaune” is the big climb of the day and it doesn’t exist, or rather it’s really the Col de Beau Plan. It sits on the other side of the valley of the more famous Col du Télégraphe and is 8km at 6.6% and steady for the most part before some hairpins near the top, an ideal place for a late attack before the narrow descent to the finish. Stage 7 (Saturday 15 June) rides past the Ag2r La Mondiale team’s HQ, it’s a short stage of 133km that then crosses the Chartreuse massif from west to east and if it’s not the classic north-south trilogy it’s still good, especially the Col du Marcieu, a scenic alternative alongside the Isère valley. A fast descent and then the giant climb to the small ski resort of Pipay. It’s almost 20km at 7% but has few secrets, a wide road to allow cars to reach the ski stations of the Belledonne range. Stage 8 (Sunday 16 June) is just 113.5km at uphill from the start on a course crossing from France to Switzerland to showcase the Franco-Swiss Portes du Soleil ski area. It’s a hard start but the middle section rolls through the Abondance valley before a drop into Switzerland. The Côte des Rives featured in the 2016 Tour de Romandie but isn’t too tough before a finish in Champéry. There are some climbs but nothing wild or crazy. The race has become a mini Tour de France but this is a de facto tour of the Auvergne-Rhône Alpes region. Until recently the Auvergne and the Rhône-Alpes were very large regions in France, then they were merged together to create one vast region and it seems the Dauphiné is being used by the regional government to weave together the region… at the expense of long transfers. 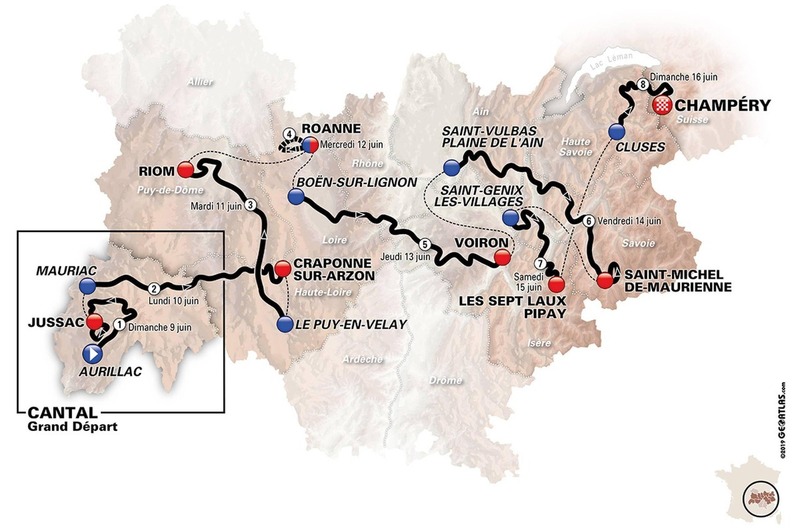 The Dauphiné is a small area of the Alps and maybe the race keeps the memorable name but its sponsors could well ask for a more vanilla “Tour Auvergne-Rhône-Alpes”. This time there’s no copycat Tour de France stage. 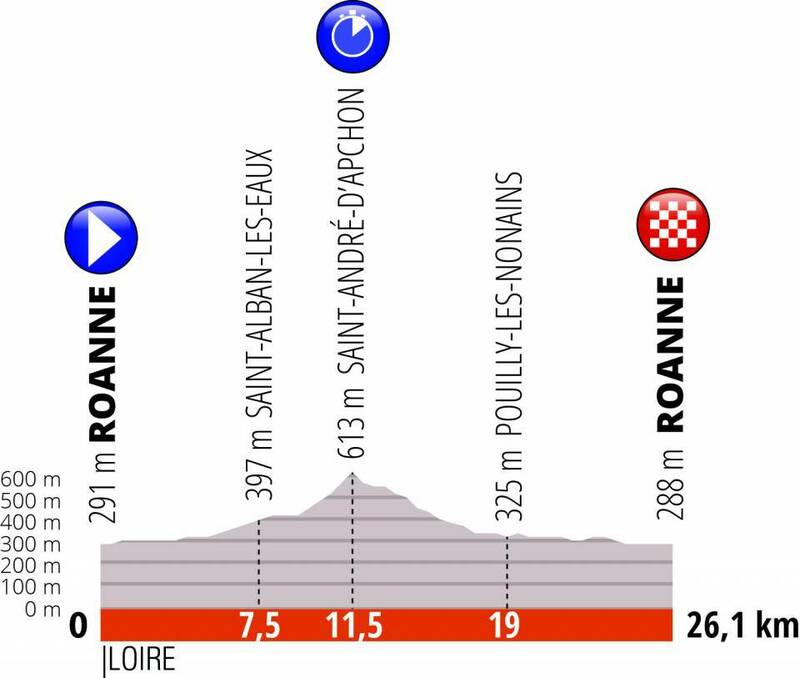 The Stage 4 time trial is 26km long which is comparable to the Pau time trial stage in July which is 27km but the Dauphiné time trial is hillier. 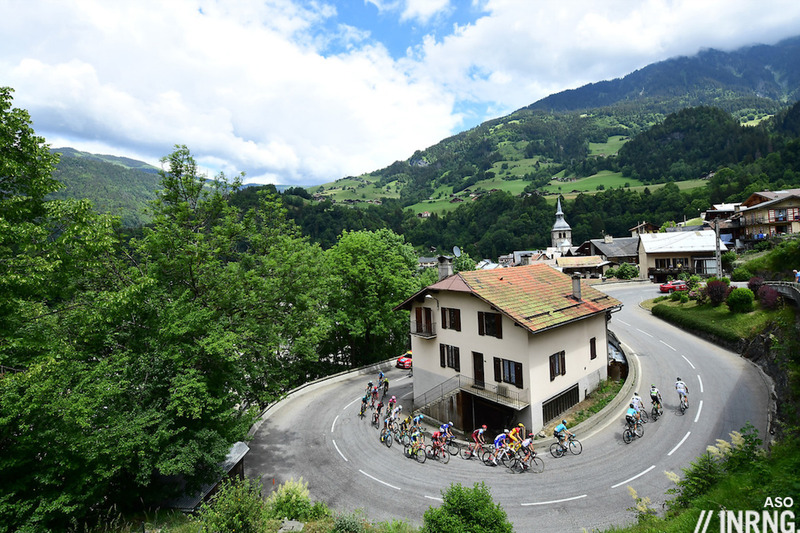 The Dauphiné route criss-crosses the Tour’s path but doesn’t mimic any one stage. There’s lots of new terrain but probably an old story: this is a course for Chris Froome and Team Sky. The time trial will give him an advantage over others, the Col de Beaune is manageable and then the ascent to Pipay is made for a strong team riding in formation and the final stage uses the same roads where Sky hold their pre-Tour training camps and it’s not as lively as recent final stages of late. And here I was enjoying a Froome-less early season . . . . I learned a new word! Indeed, I’m a turophile. Plenty of time for Froome but so far he’s having a bad start to the season, compounded by his crash in Catalonia yesterday. If this carries on he might need a result by the time the Dauphiné starts. Froome won the 2017 Tour having won nothing previously in the year, including that year’s Dauphine, and people were even starting to wonder if he had lost whatever he found in 2011. He went on to win the next three grand tours in a row. So its safe to say that Froome in a grand tour is not the same proposition as in what, for him, are now surely just warm up races. Have been skiing in Prapoutel which is the final climb for Stage 7 and confirm it’s a long but easy drive in car, it will be difficult to attack on this kind of ascent. I enjoy your route notes, but when you formulate them, could you please add in the dates? Just for stage 1 would be enough. Thanks . . .
Cantal is the home of Romain Bardet’s favourite cheeses (Salers especially), which he apparently pairs with a light Burgundy. This guy’s insta feed is a gastronomic education…. 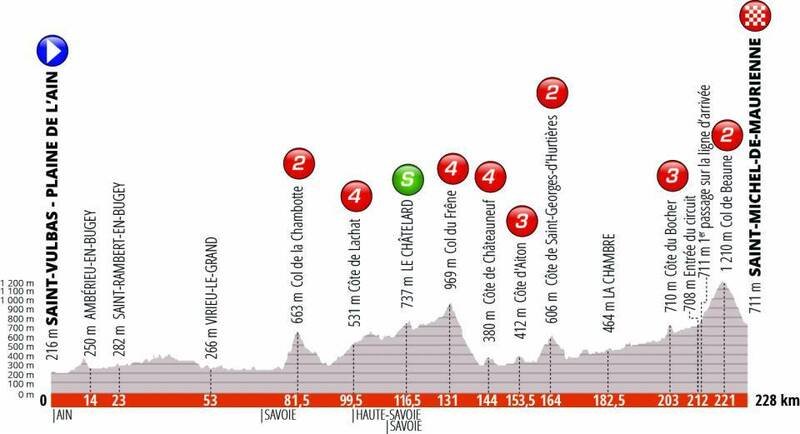 Looks as though stage 2 will reverse the descent from La Chaise-Dieu to Brioude on stage 9 of this year’s tour. It’s a real bumper year for Brioude! Let’s just hope Bardet makes the most of the opportunity, on what seems like a similar finish to Paris Nice from 2013 where he finished in the front group. Around the Livradois there’s an abundance of really great roads to ride, dipping in and out of small farm villages with glimpses of the valley below as you gradually ascend. Highly recommended for hours of virtually car-free riding! In the 90’s I used to holiday (eat, ride, eat, ride, sleep) every summer for at least three weeks in this area – Puy du Dome, Cantal – Ahh, deep sigh for the food, the peace, the quiet roads, the markets. I’m glad to hear from Stuart W that things are still pretty laid back and (relatively) traffic-free. Aurillac in August was the most quiet town I’ve ever known – no raised voices, little traffic, pedestrian/cyclist friendly streets and a choclatierres to die for. Crap coffee tho’. Salers is a fantastic cheese: runny; crusty; smelly; perfect. Aurillac as depart town? Yeah I can just about see that. I wonder if QSD will chuck Mr. Jungles at this. Sometimes I think the only bad thing about France is the coffee. But bad it is, really really really bad. Many thanks IR for that link. Superb article. An excellent summary of the current situation re; rural café closure and a telling closing thought. You are, sir, a true man of the people. It’s strange that they have Italian-branded espresso machines and sometimes the same caffe brands as in Italy. But somehow, what comes out of them is simply awful. But they can’t seem to figure out how to boil dry pasta properly either…so go figure. We even had a guy in Italy once who said he preferred the “Italian” food at the USA chain-eatery Olive Garden. @#$%^&*(!! !